The True Gossip Home / JENNETTE MCCURDY STRAIGHT HAIR! The photo on the right shows "iCarly" star Jennette McCurdy out for some yummy frozen yogurt from Yogurtland on January 13th, with straight hair! 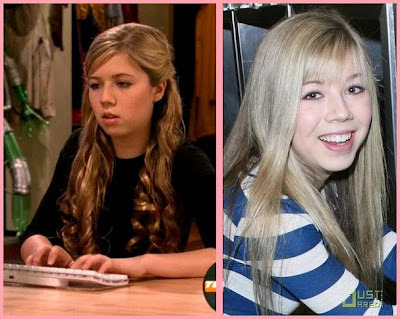 The photo on the left shows Jennette with curly hair. Do you like Jennette with straight, or curly hair? 8 Responses to JENNETTE MCCURDY STRAIGHT HAIR! way better with curly hair bro she damn hot. I think she looks beautiful however she has her hair.